The wearable market has been exploding in 2014, we're seeing many entrants with offerings but this is probably the first time I've seen one that tries to appeal to gamers. The Razer Nabu is a thin band with an OLED display for your wrist and syncs with iOS and Android. It also comes with a 5-7 day battery life and is water resistant. You can look forward to it coming in two sizes, small/medium and medium/large in four colours; green, white, orange and black. So what can we expect it to do? It pushes notifications from your smartphone like emails, texts, calls and app alerts. This means you could potentially get Steam updates from your friends and even sales, just great another way for Gaben to take our money! The Nabu also logs your activity like steps taken, amount of sleep, etc like some of the other health bands out there. What seems to be unique with it is a proprietary wireless system, which can talk to other users with a Nabu to share information and "band" together (see what i did there) to form a social network where you can keep in touch in the offline world as well. I believe the idea is to eventually get in-game notifications and updates transmitted to the wearable so you're always up to date with your avatar or gameplay sessions. It will be launching in the US this week and should be out in Southeast Asia soon. We'll be sure to update you guys as soon as we hear from Razer on the pricing and availability in our region. 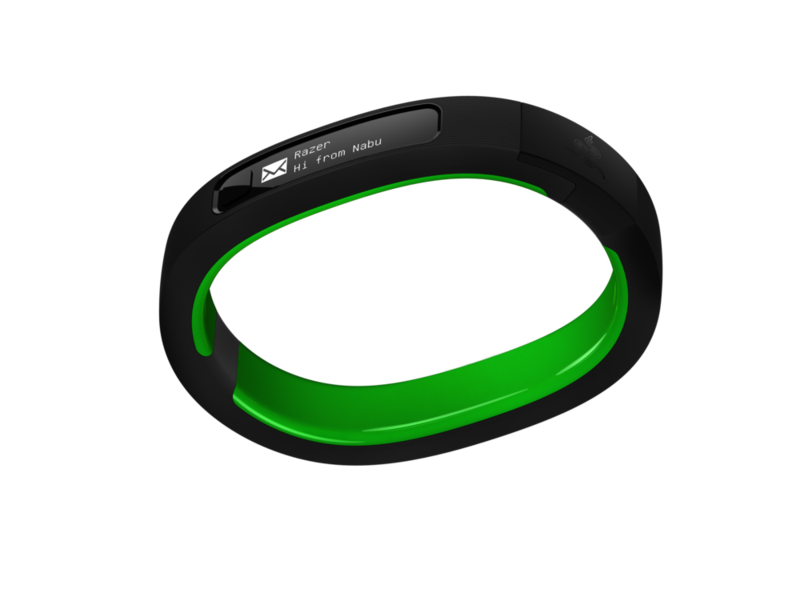 What do you think of the Razer Nabu? Leave us a comment below! Logitech G402 Hyperion Fury Review - Could this be the true successor to the MX518? Oh my Geek! Abubot.ph opens up!